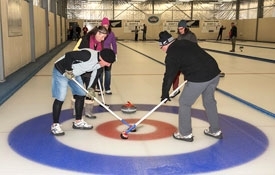 Historic Naseby is home to New Zealand's only international indoor curling rink. Have a go at the "roaring game," which is also known as "bowls on ice." 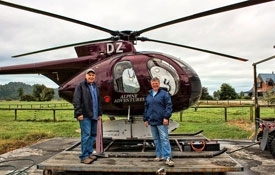 Off Trail Tours will collect you from your accommodation and transport you to the rink. For groups of four or less people, one hour ice time is recommended. For larger groups we recommend our 1½ hour ice time option. 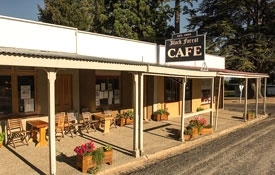 After curling we will pop into Naseby's historic township, described by Lonely Planet as one of New Zealand's "cutest towns." Here you have the option to stop for a drink at one of the historic hotels or the delightful Black Forest Café. This tour is inclusive of transport and curling. Drinks and food are not included. Total tour time is 2.5 hours (includes 1.5 hours ice time). 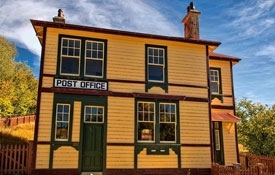 Transport only is available from Wedderburn / Ranfurly to Naseby for three people or more at $28 per person return. For 2 or less people add an extra $5. Off Trail Tours will immerse you in the history and gob-smacking scenery of St Bathans and Cambrian. 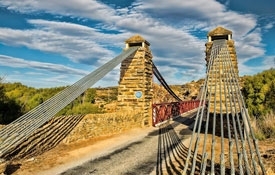 St Bathans was settled mainly by the Irish seeking their fortunes on the goldfields, while Cambrian was settled by Welsh gold and coal miners. 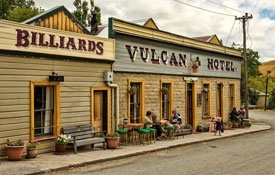 You can still enjoy a beer at St Bathans' haunted Vulcan Hotel (established in 1869) and Cambrian has a number of surviving historic buildings preserved by Central Otago's dry climate. 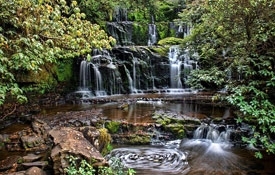 Cambrian is home to New Zealand artist Grahame Sydney who has captured many of Central Otago's iconic landscapes in his painting and photography. This tour is inclusive of transport and led by our true blue local guides. Drinks and food are not included. 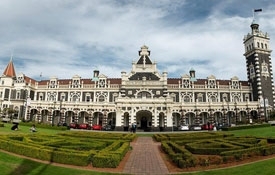 These tours involve a pick up and return from Dunedin airport and are ideal for two couples or a group of up to 10 people. This is a full service tour with all costs included except for drinks. There is the option of a modern 4WD vehicle or a Nine Seater Van. 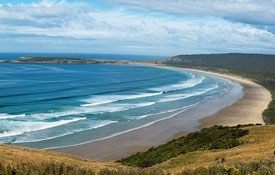 This can include Dunedin, Otago Peninsula, Catlins Coast, Invercargill, Doubtful Sound, Te Anau, Queenstown, Crown Range, Wanaka, Haast Pass, Fox and Franz Glaciers, Maniototo, and returning to Dunedin. Stay in quality accommodation and enjoy high-quality food. 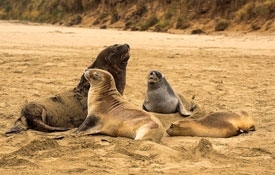 See the amazing coastal scenery and wildlife, as well as the Southern Lakes and Fiordland. 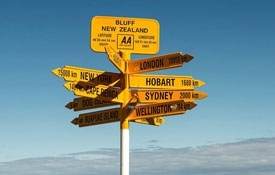 Take in the splendour of Queenstown, Wanaka, West Coast and Maniototo.